USAC Sprint Cars return to San Tan Fords Central Arizona Speedway for the final time in 2017 for the annual Trunk or Treat and Pinal County Federal Credit Union Night at the races Saturday night October 28th. Earlier this year Charles Davis Jr. grabbed the win at the high speed oval over RJ Johnson with Landon Cling, Shon Deskins and Matt Lundy rounding out the top 5. This time all the South West teams are expected to be joined by USAC National contingents such as Kevin Thomas Jr., CJ Leary, Chad Boespflug, Hunter Schurenburg fielding one of three Reinbold/Underwood Racing​ backed machines and possibly more as they come into town in preparation for the Western World Championships the following weekend at Arizona Speedway. Along with the USAC stars will be Pure Stocks, IMCA Sport Mods and the season championship for the Bombers which Amanda Hasley holds onto a 20 point lead over Kevin Souligne and an additional point over Cody Ashcraft. Johnny McCarty Jr will try to extend his points lead in the Pure Stock division over Jennifer Hall and Terry Churchwell with hopes to claim his first track championship with only 4 races left. Ray Czumaj will do the same in the San Tan Ford IMCA Sport Mod touring series as he leads both Tyler Mecl and Jason George into Saturday nights feature. Racing action begins at 7:00pm. Pits open at 4:00pm, front gates open at 5:00pm, hotlaps at 6:00pm. Cost of admission is $15 for adults, $12 for seniors, kids 11 and under are FREE!!!! Central Arizona Speedway is located at 512 S Eleven Mile Corner Rd, Casa Grande, AZ 85194 at the Pinal County Fairgrounds. 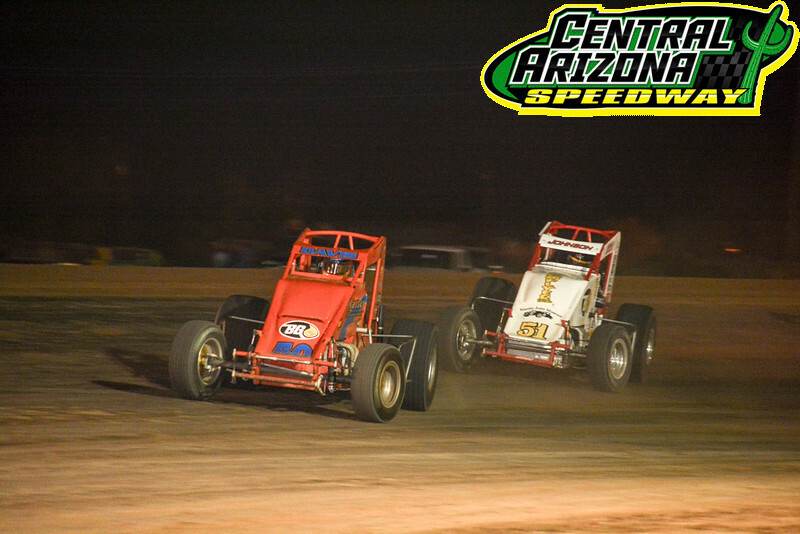 Follow us at www.Facebook.com/CentralArizonaSpeedway or www.CentralArizonaSpeedway.net for more info.